For some time now, I have been asked whether it’s a good idea to play Indian Classical music on western instruments. I myself used to play Indian Classical Music on the guitar, so here are my thoughts on the subject. So, the question is: should I play Indian classical music on the guitar/piano/cello/harmonica/french horn/saxophone etc? However, if you are after reproducing Indian classical music in accurate detail, you will have first have to devise a method of executing melodic line improvisations on your instrument. This is easier said than done. In some cases, you can approximate the gamak, murki and other embellishments, but if you start on a brand new instrument, you will have to develop the instrument and technique. That will take time and effort. Unless you are a genius of the calibre of Pt Shiv Kumar Sharma who has translated traditional techniques to the santoor through brilliant innovation, you will be in for a hard slog. 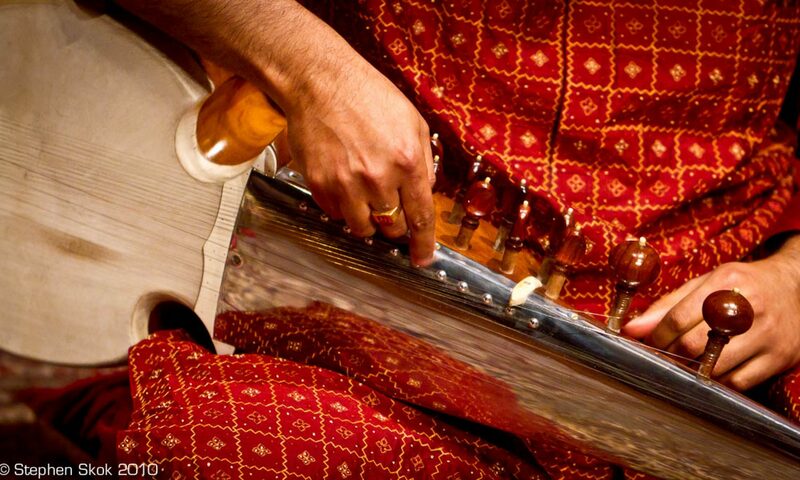 The other and possibly easier option is to go for an established instrument like sitar, sarod, sarangi. These not only are optimised for the music, but also have a huge body of work behind them. One reason why old timers were in general sceptical of new instruments was that it takes generations to build up a body of work. Newer instruments need time to generate that level of optimisation. However, if everyone just focussed on established instruments, we would not have much innovation. So, newer instruments are welcome as a matter of innovation and progress. So, in summary, there is no wrong or right answer -it pretty much depends on what you want to achieve.